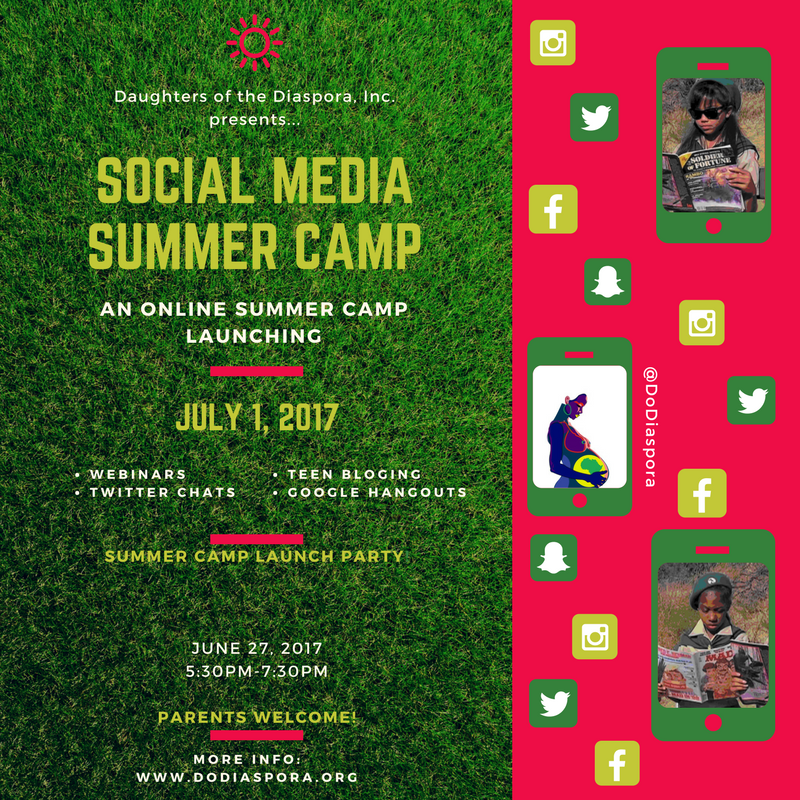 Social Media Summer Camp - DoD, Inc.
Social Media Summer Camp '17! We have just started open enrollment for our first Social Media Summer Camp for girls across the African Diaspora! Sign up on our website and follow us on Instagram, Snapchat or Twitter to be apart of the camp. You will learn all about the typical DoD things like anatomy, loving yourself and most importantly have fun! We will have free giveaways throughout the summer along with Snapchat confessions where you can send us confidential questions that a doctor or medical student will answer. There will be Twitter Chat sessions to talk about the topic of the week. And lastly, we will be doing Live Streams of DoD Webinars with a medical student teaching a lesson from our DoD Handbook! Sign yourself up! Sign up your daughter! Sign up your cousin down south! Sign up your niece! Sign up a friend!